Run for the reds – you would be nuts not to! We have always put the money raised by the Grasmere Gallop to good use, investing it back into our conservation work in the Grasmere and Rydal area. This year, we’re continuing on our mission to save Grasmere’s red squirrels. Unfortunately our native red squirrels are in danger of extinction in England and Grasmere is one of the few remaining places in England where they still thrive. We’ve been working with Grasmere Red Squirrel Group to help make the area their ideal home. Last year an outbreak of the deadly Squirrel Pox Virus in Grasmere put our native red squirrel population under dire threat. We had over ten confirmed cases of the virus in the valley, but thanks to the constant effort of the Grasmere Red Squirrel Group and the local community our red squirrel population have survived. 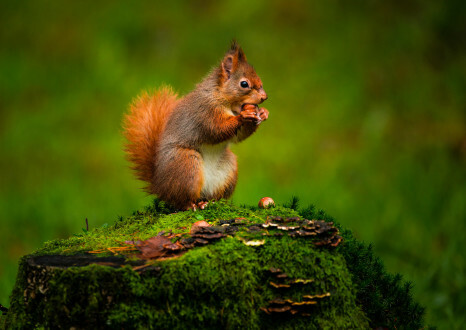 As well as the funds that the National Trust commits to red squirrel conservation here in Grasmere, the Grasmere Red Squirrel Group relies heavily on grants from the Forestry Authority. Sadly, due to changes in Forestry Authority funding, these grants will not be available in 2017. Now, more than ever before we need your support to enable the conservation work of the Grasmere Red Squirrel Group to continue. Every penny we raise through your entry fees for the Grasmere Gallop will help us to continue supporting the Squirrel Ranger throughout National Trust woodlands in Grasmere. Want to go the extra mile for the Grasmere reds? Sign up and run for the reds!